It has helped make this site and Thrive/Strive viable and has led me to start the One Million Dollar Blog Challenge. Because I think it is the best marketing platform for blogs on the web. Pinterest helped me launch a new blog and get 400,000 pageviews in the first 60 days. Pinterest is no joke and it’s crazy how many bloggers don’t know how to utilize it properly. When you stop viewing Pinterest as a social media platform and more as a social marketing platform the game changes for you. The problem bloggers have with Pinterest is that they don’t follow any type of Pinterest strategy. They blind pin their posts and repin others thinking that is all they need to do. It’s similar to the people that post pics on Instagram and do random Tweets on Twitter. The people that succeed on a platform are those that have a strategy behind everything that they do and Pinterest is no different. Once follow this Pinterest strategy that is laid out in this post you’ll find that you start to get more followers, and more importantly, more traffic to your blog. But before we dive into any of that let’s make sure we have a better understanding of what Pinterest is all about. One of the big stigmas with Pinterest is that many people view it as a social network. While it does have some social features it is only a social network in some people’s eyes because it is compared to Twitter and Facebook. The reality of it is that Pinterest is really part marketing platform and part search engine. If you consider every single pin on Pinterest as an ad your perspective changes and once you realize that it is really a powerful search engine you will start to get the most out of it. When viewed as a marketing platform you have to start thinking like a marketer. You’re a blogger though so that doesn’t mean you have to go full marketer, you just need to understand some marketing concepts. For example, fear sells. I don’t mean complete terror, but more like the fear of missing out on something. When you come across that awesome white chocolate almond cake recipe you will either like it, repin it, or click on it because you want to make sure you don’t miss it. Pinterest is all about people finding solutions to their problems and also discovering things they didn’t know they wanted. People love to search on Pinterest. When my wife hears that I’m thinking about getting some chinchillas she goes straight to Pinterest to get ideas on awesome chinchilla cages. Pinterest is the place to search for new ideas and solutions to things. Why would you care about this? Because unlike Twitter or Facebook, search plays a huge role in Pinterest and for search to work on a site that is mostly images, it needs some way to ensure that its users are getting relevant results. As you’ll read in a bit search engine optimization is a big deal on Pinterest. Yep, the same type of search engine optimization that you need to learn for your blog to succeed, the same principles will apply to how you use Pinterest. Just like with other sites that have followers, follower count can play some role in your Pinterest success, but not as large as with other sites. Because Pinterest users utilize search so much the results that they see aren’t reflected on who they follow and with the introduction of the smart feed you can end up seeing pins from people you don’t follow. In essence, Pinterest tries its best to give every pin an equal shot of being seen by users as long as they do things properly. Okay, ready to nail down some Pinterest strategies? Let’s begin. At its most basic level, Pinterest is a search engine that is trying to provide the best user experience possible. That’s really important to keep in mind because if you focus on strategies that don’t help to make Pinterest a better platform to use, then you will not be rewarded. Many people tend to overcomplicate Pinterest and think there is a lot of magic going on behind the scenes but the simple fact of the matter is you just have to know what both Pinterest and your audience want. I used to live in a small town in Colorado. One day a fancy restaurant opened up and it felt like the next day it was closed down. Why? Because the town wasn’t filled with people looking for a fancy restaurant. The restaurant owners ignored their audience and thought they knew what they wanted. On Pinterest, if you want to succeed you need to know your audience. What does that mean? It means you can’t pin for yourself. If your potential audience doesn’t care about the things that you are pinning why would they bother visiting your site? Trying to figure out your audience can be a little troublesome for people. How do you know what your audience wants if you don’t have them yet? Some people like to believe that their audience is filled with people just like them and while that may be somewhat true, odds are you are at a different part of the journey. For example, if I assumed Obstacle.co’s audience was filled with people just like me, then would I be writing this post? I’d end up writing about how the best martini is a dirty martin, gin, and simply stirred. Figuring out what your audience wants is pretty easy on Pinterest. You just take note of all of the popular pins in your niche. Pins with lots of repins are the things that your audience cares about. You can either choose to ignore those pins or you can focus your content around those pins as well. Pinterest might be the most impressive social search engine on the web. This is what the best pinners understand about Pinterest. People go on Pinterest looking to solve their problems. Have too many flies in your backyard? Go to Pinterest and search for solutions. Looking to make money from home? Go to Pinterest and search for solutions. Because Pinterest is a visual network, that means many of these search results are dependent on pin titles and descriptions. If you know anything about SEO then you know the importance of keywords. If you don’t know about keywords then think of them as the main words that you are trying to rank for in a search engine. For example, the main keyword for this post is pinterest strategies. The goal is to rank well for this keyword when someone types it into Google. Pinterest works the same way. When someone types in a search, Pinterest looks at pin titles and descriptions to try and help provide the user with the best results. This is why when you do a search on Pinterest you will find pins with a low number of repins next to pins with a high number of repins. 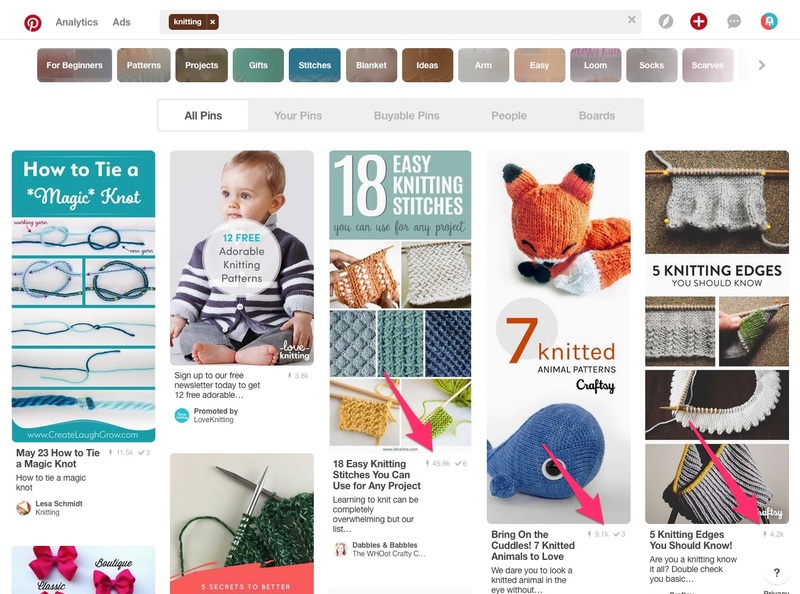 Pinterest cares about relevance when it comes to searches, not vanity metrics. Pinterest SEO also plays a huge role with board names and the information in your profile. In fact, almost everything you do on Pinterest should be done with Pinterest SEO in mind. Pinterest is a visual medium. You know this. Don’t judge a book by its cover doesn’t hold up in the Pinterest world. If you want people to engage with your pins then they need to have a certain level of quality to them. You aren’t the only person talking about building yo-yos from cucumbers. You are competing with other pins that promise to show people how to do the same thing so you want to make sure that you stand a chance visually. You pin size should be at least 735×1102. Sometimes the bigger isn’t always better but just take note of how other popular pins in your niche are designed. It’s also important to keep in mind that the majority of Pinterest users are viewing Pinterest through their mobile devices so if your pins don’t look good on a phone, then they won’t succeed. If you’re just running a blog then you might not put much thought into your brand, but your brand is all around you. Every time someone comes across one of your pins you want them to know that it is your pin. When people see an Obstacle.co pin I want them to know right away that it’s from this site and just having that knowledge should get them to click it. So what can you do to ensure that your brand is recognized? Be consistent. If you use a tool like Canva then you should be able to create a pin template. This ensures that your pins are consistent. You don’t need to use the same background images, but try to keep font and colors consistent. Sign them. You can’t sign a pin! In this case what I mean is that you should leave the URL of your site at the bottom of your pin. That way even if someone decides not to click on the pin your URL makes a little impression on them. Some people don’t believe this is valuable but I’m in this for the long haul so the more times I can get people to recognize my pins, the more times I have a chance of building a relationship with them. Live by the group board and die by the group board. I wouldn’t have seen any of my explosive growth on Pinterest without the help of group boards. Group boards allow you to access audiences you wouldn’t have had previously. If you’re starting off with only 97 followers then that group board with 57,000 followers is going to come in real handy for exposing your content to new people. Not all group boards are created the same. Some group boards have great repin rates. If you’re using Tailwind or BoardBooster, then you can find analytics within them that will show you the performance of a board. There is no point in wasting your time on boards that don’t get any repins. You also want to make sure you only join group boards that are relevant to your topic and have pins that are topical. Joining a group board called All Pings Go Viral isn’t going to help you on Pinterest because Pinterest doesn’t know what the board is really about. If you don’t pin frequently and consistently on Pinterest then you won’t do well. This is why using a pin scheduler is an absolute necessity. The two tools that I use are Tailwind and BoardBooster. I’ve written a nice comparison between these two tools so if you want to understand them better check that out. This ties into strategy #6, but you want to schedule your pins so you aren’t living on Pinterest and you also want to spend some time doing manual pinning so Pinterest knows you care. This doesn’t mean you need to sit down every single day and pin for hours. Don’t get me wrong, Pinterest is awesome and I love browsing it, but there are more productive things you can do for your site than spending hours each day on Pinterest. Unless it is your job of course, then you get a free pass. Scheduling your pins is like having a personal assistant taking care of everything for you. It’s nice to know that I always have a set number of pins going out every single day without me having to lift a finger. It’s also great to know you have pins scheduled for those days where you just can’t make it into Pinterest to do some manual pinning. If you’ve found these strategies to be useful then I’m happy to let you know that I have a whole course on them. Billionaire Pinterest dives into all the ins and outs of my winning Pinterest strategy. It shows you exactly what I do with all of the blogs that I create along with the ones I do for my clients. Purchasing it gets you access to all future updates so whenever something big happens on Pinterest you don’t have to worry because it will appear in Billionaire Pinterest. Looking for even more strategies? Check out these 33 tips to help you crush it on Pinterest. 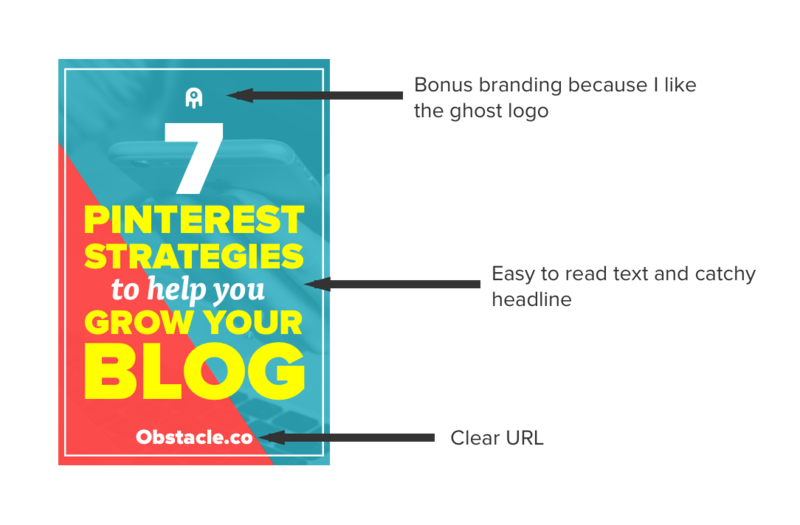 You don’t get what you don’t ask for so I’m asking you to take a second to share 7 Killer Pinterest Strategies to Help You Grow Your Blog with your audience. They respect great content.